What can be more fun that singing and dancing to your favorite High School Musical songs? Throw a High School Musical themed party in NY for your tween or teen and friends, and watch them have the time of their lives. See here the city's greatest locations and services to plan your kid's High School Musical party in NY. A High School Musical Disco Party in NY! 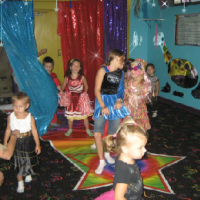 A fun and glamorous disco for kids, Deb's Family Disco offers a variety of activities for their High School Musical themed parties in NY. Your kid and friends will dance under a strobe light, lip sinc to the High School Musical songs with a glitter mic, team up for a High School Musical quiz game show, have a dance battle, and more. 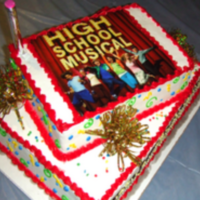 Included with the party package is a High School Musical cake, themed party favors, invitations, customized mugs, caps, notepads, and more. This family disco is the perfect spot to hold your kid's next High School Musical birthday party in NY! Have a High School Musical Party in NY! Serving the New York area, Funny Bonz Entertainment is one of the city's premier services for High School Musical parties in NY. At this interactive HSM party, your kids and guests will be playing games, dancing in a contest, choreographing their own dance moves, playing a HSM trivia game, playing Basketball, and much more. Also included in the NY High School musical package are temporary tattoos, balloon creations and animals, sand art, face painting, jewelry design, and more. 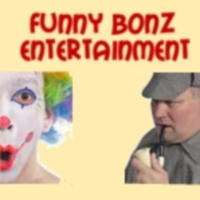 The kids and teens will have the time of their lives at this Funny Bonz Entertainment birthday party. 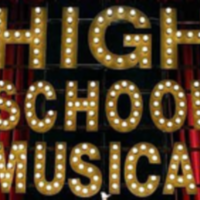 Your Kids will Enjoy a Dancing & Singing HSM Party in NY! Offering a variety of fun High School Musical party activities in NY, Legendary Entertainment is sure to impress your kids and teens with their excellent party service. The party guests will be sings their favority HSM songs, dancing, playing a trivia game, and more. The fun doesn't stop there, though - also offered at this fun High School Musical party is face painting, temporary tattoos, a bean toss, and much more. The friendly and fun party staff will entertain the kids from start to finish, leaving no entertaining obligations up to the parents. If this sounds like a fun time to you, then contact Legendary Entertainment now about your kid's next birthday party. Dancing, Singing & Dress-up in NY! 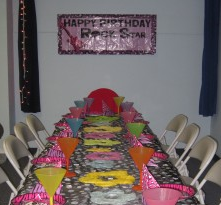 If your child is a High School Musical fan, then look no further for a fun birthday party location. Party Zone offers High School Musical themed parties in NY, including dancing, singing and dress up. You kid and guests will love to dress up as their favorite HSM character or in a basketball or cheerleading outfit. There is no need to worry about the hassle of throwing your kid an awesome party; Party Zone will do all the work so you can just sit back and enjoy the party. From invitations to after-party clean up, Party Zone does it all! Dress up like your Favorite HSM Character in NY! As a premier kid's party service in NY, Birthday Zone offers a variety of party themes and accommodations, including High School Musical parties in NY! Your kids and guests will have the chance to sing, dance and dress up just like the members of High School Musical. From Gabriella to a basketball player, Birthday Zone has every type of HSM costume. In addition to the costumes, dancing and singing, your kids can enjoy a variety of activities, including face painting, crafts and games. They will be entertained from start to finish, so the parents can sit back and enjoy the party too! Be a HSM Pop Star in NY! Partying like a pop star can become a reality at Kiddie Wonderland's 'pop star' party package, which offers High School Musical themed parties in NY. Watch your kid turn into a star at his or her birthday party while singing, dancing and acting in skits from the High School Musical movies. Offering a selection of party packages, you will be given a three-hour private party, including food and drinks. Also consider a themed table set-up and themed balloon centerpieces to make your kid's party the best it can be! Party like a HSM Rockstar in NY! 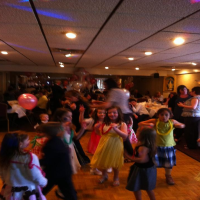 Offering a wide assortment of birthday party themes and packages, Party Paradise is one of the greatest High School Musical party services in NY. Your kids will rock out to the iconic High School Musical sound track, equip with inflatable guitars and microphones, dress-up costumes, and rock star accessories. Not only will then dance and sing, but they will make a cool craft too! 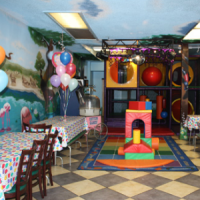 Choose to either hold the party at Party Paradise's location or in your own home - your kid's party will be customized to your liking.